Although things meant for babies to play with are bright and colorful, the things parents use to take care of those babies are often dull and boring. 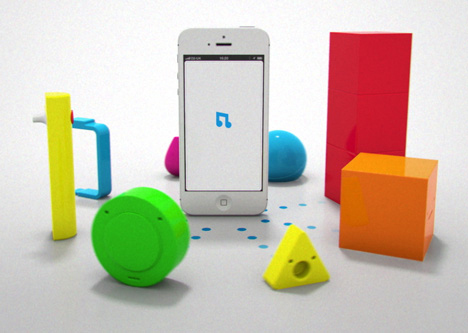 Designer Tom Evans decided to change that up with a line of parenting tools that look more like toys. 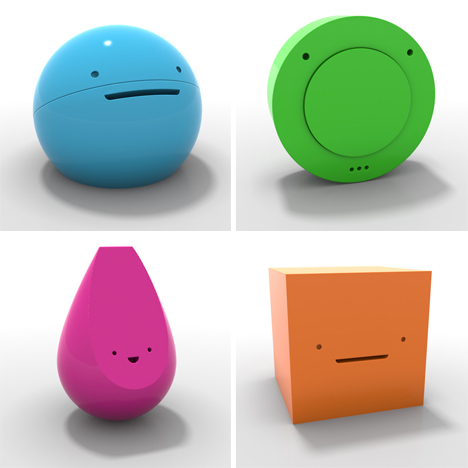 The line is called Bleep Bleeps, and each funny character has its own specialized function. They are all designed to make parenting a little more fun. 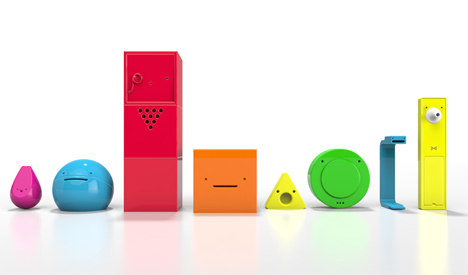 Evans saw The Internet of Things starting to take off in the design world and decided to create tools that made parenting easier for him and would also look good in a home. Some of the objects in the collection are an ear thermometer, a motion sensor, baby monitor, and both male and female fertility testers. They all have silly (and very English) names like Sammy Screamer, Tony Tempa, and David Camera. The colorful little objects are all synced with a smartphone app to offer help and keep track of patterns, such as the changing temperature of an ill child. You can also control some of the objects via the app, such as the volume and sensitivity of the motion detector. 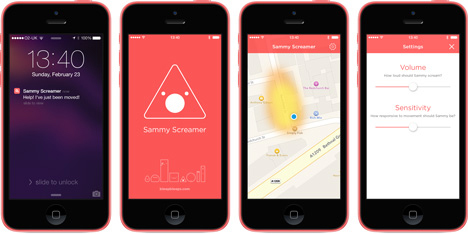 The first product of the collection that will be made available for purchase is Sammy Screamer, the tiny motion detector that lets you know when your stuff is being moved and alerts you via a beep and a smartphone notification. Other products from the collection will be released at later dates, letting parents fill their homes with fun and colorful parenting helpers.